Suar is also known as Albizia Saman. Suar is a large tropical rain tree that can grow up to heights of 25m. 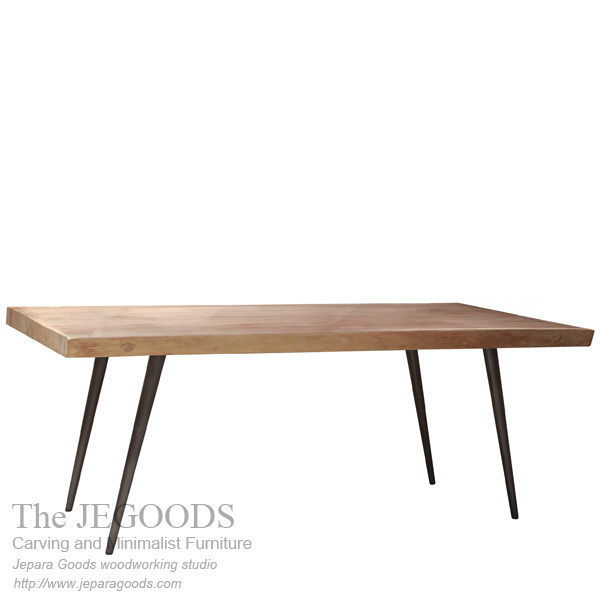 We make this Suar wood into large dining table designed with iron at its legs. This industrial table style can bring a wild look into your room or as commercial use such as cafe or restaurant with industrial vintage concept style. The top table has 7cm of thickness with traditional construction method finished by our wood craftsmen in Jepara, Central Java – Indonesia.